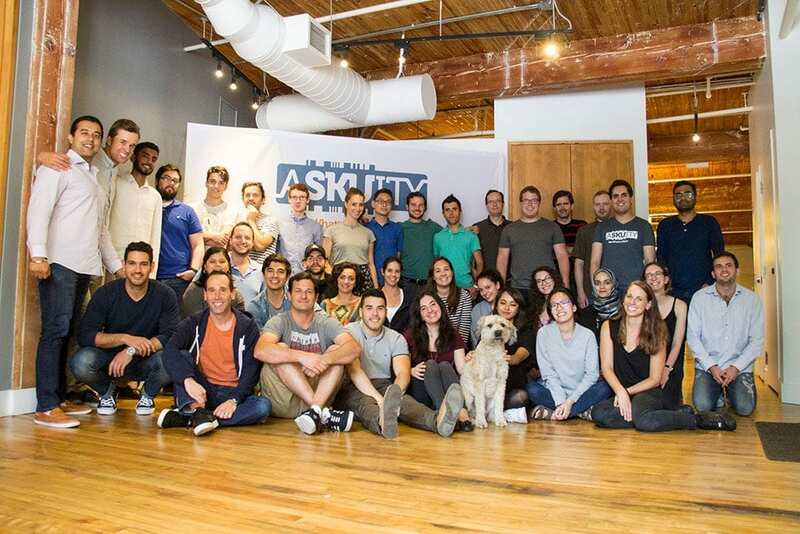 In our continuing Toronto’s Top Startup Jobs series — weekly profiles of some of the top startups in Toronto on the hunt for new talent — we feature Askuity, a fast-growing company that is looking to fill a range of roles, from customer service reps to data analysts. Want to join a great team? Advance your career? Read on! If you’re in the numbers game, retail data analytics company Askuity could be the perfect next step to grow your career. This Toronto startup is changing the way brands interpret their data, so they can increase sales. Current clients include big names like Philips, Dyson, Salvatore Ferragamo and Anastasia Beverly Hills. Askuity helps them identify sales opportunities and trends. 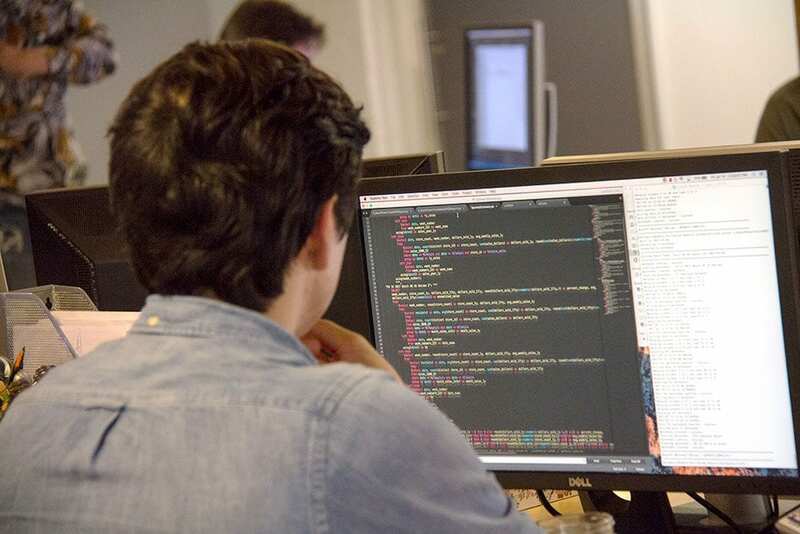 Founded in 2012, the fast-growing company now has 70 clients and almost 700 participants. And it’s growing. 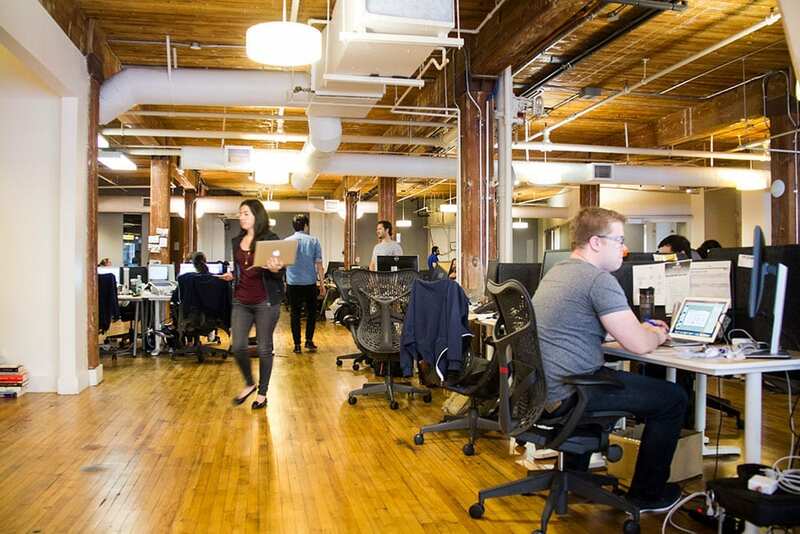 The company moved into a spacious open-concept office in Toronto’s fashion district last May, an office that allows all employees, no matter their seniority level, to collaborate, ask questions, interact and learn from each other. 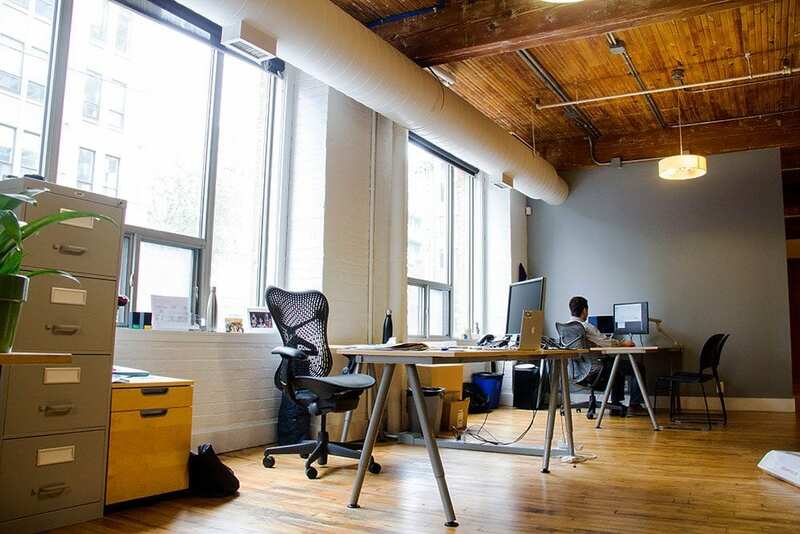 Large windows provide lots of natural light to work by, while also offering a view of the bustling street scene below. While Askuity is international in scope, the company proudly trumpets its Canadian roots in sometimes unexpected ways. 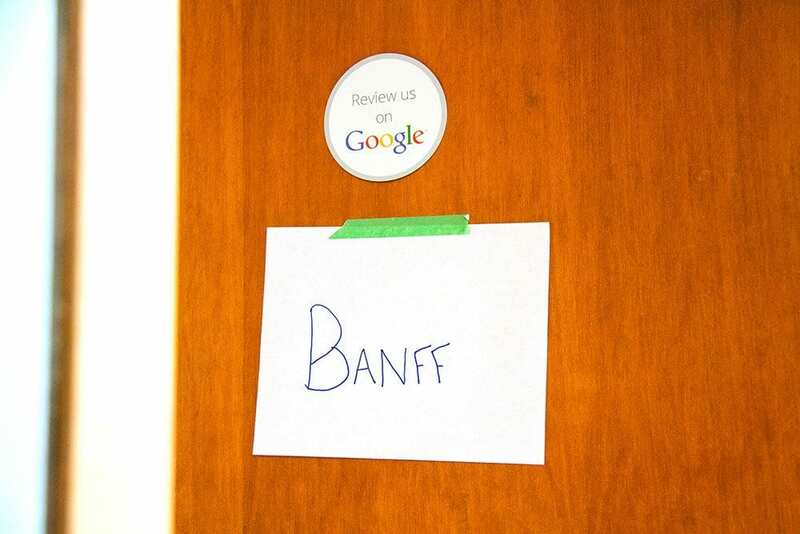 Fun fact: all seven of the meeting rooms are named after national parks in Canada, including Yoho, Banff and Jasper! Located on Spadina Avenue in Toronto’s vibrant fashion district, there are tons of shops, restaurants and parks to explore on your lunch break. 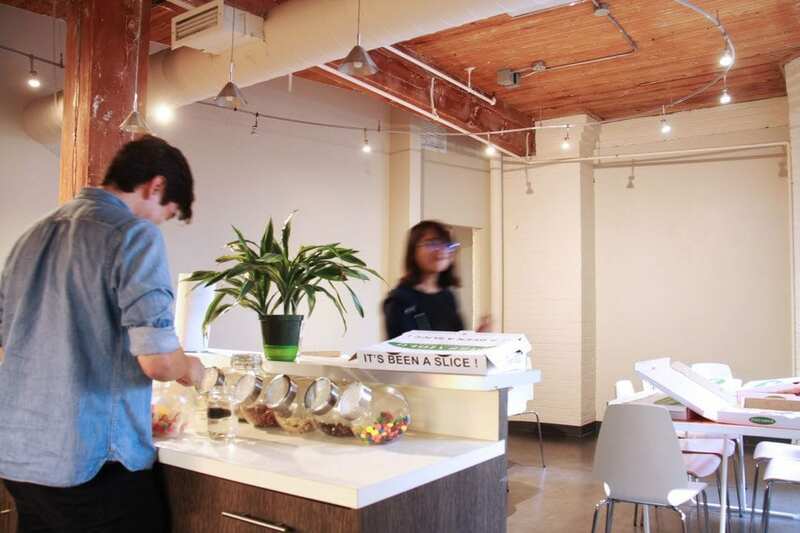 Some favourite spots from the Askuity team include Lululemon — for the yogis — Buddha’s Kitchen and Fresh restaurant. 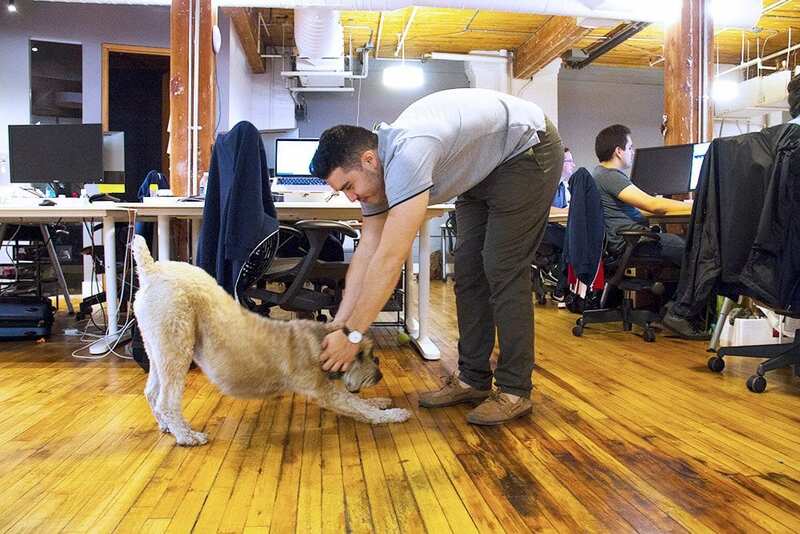 The pet-friendly office includes a few four-legged team members. Rooney is a five-year-old wheaten terrier that loves to show off his yoga moves. “He’s the weirdest dog I’ve ever met. He stares at you when you’re eating and does the weirdest stretches. We call him a yoga dog because he truly does downward dog all the time,” says Victor Coscarella, director of marketing. Other dogs listed on the company website include Stella Sheepwash, Director of Front Door Security, and Shiloh MacDonald, VP of Chew Toys. It all started when the director of customer success made it her goal one month to memorize the theme song for the Disney hit movie, Moana, so she could sing it to her colleagues. 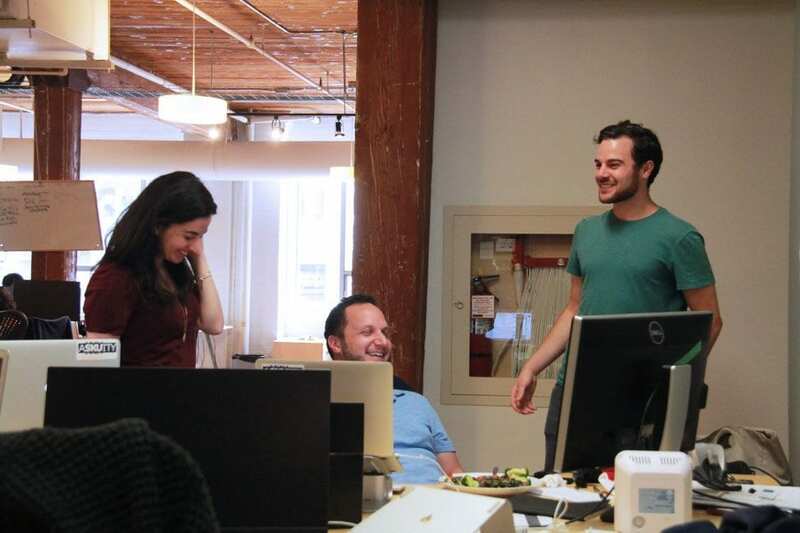 “It turned into a full out office singalong. Now any time we need a break, the Moana song comes back on and we all sing along,” says Kate Ragotte, director of product development. 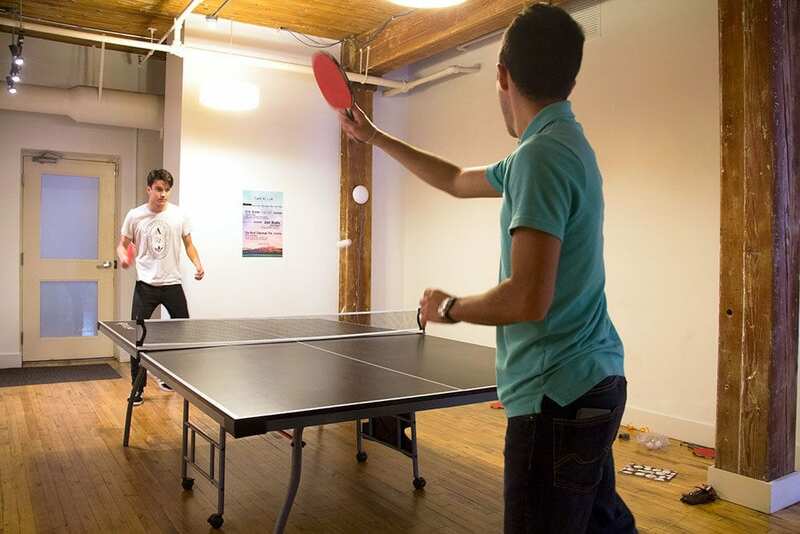 Besides saving your precious dollars by offering free lunch every Wednesday, the company hosts croquet tournaments and scavenger hunts around the city twice a year. They also love playing Exploding Kittens and ping pong. But be forewarned, Askuity is full of competitive personalities, so bring your game face. Victor Coscarella joined the company in February of 2015, and says one of the best parts of his job is getting to work with friends. Kate Ragotte enjoyed her previous job as an analytics consultant, but wanted to have more creative freedom. 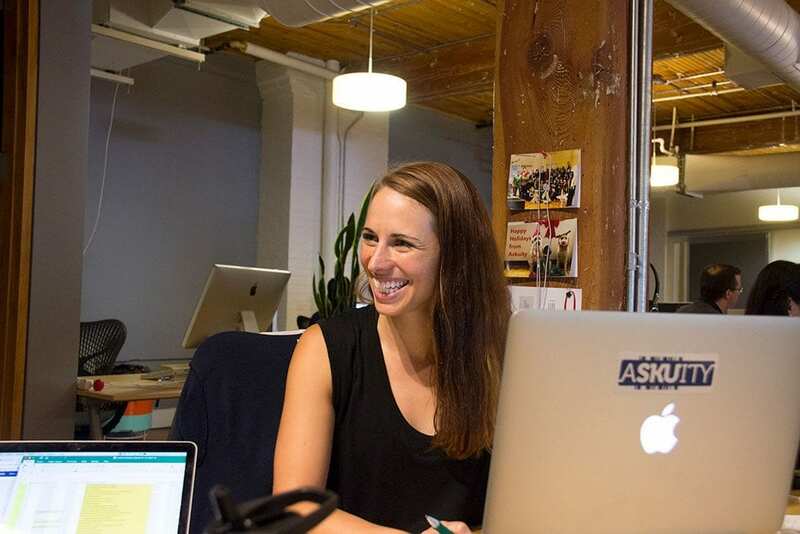 She joined Askuity a year and a half ago, as an implementation consultant, and has already worked her way up to director of product development. Ragotte says there are lots of opportunities to climb the career ladder because of the supportive management team. Ragotte seeks out job candidates that are both intelligent and curious, since these are qualities embedded in the culture at Askuity. “Being smart can make up for a lack of experience. It’s also really important to be curious. At a bigger company, you know exactly what you’re supposed to be doing, but at a startup, you need to figure it out and must have a drive to improve things,” says Ragotte. 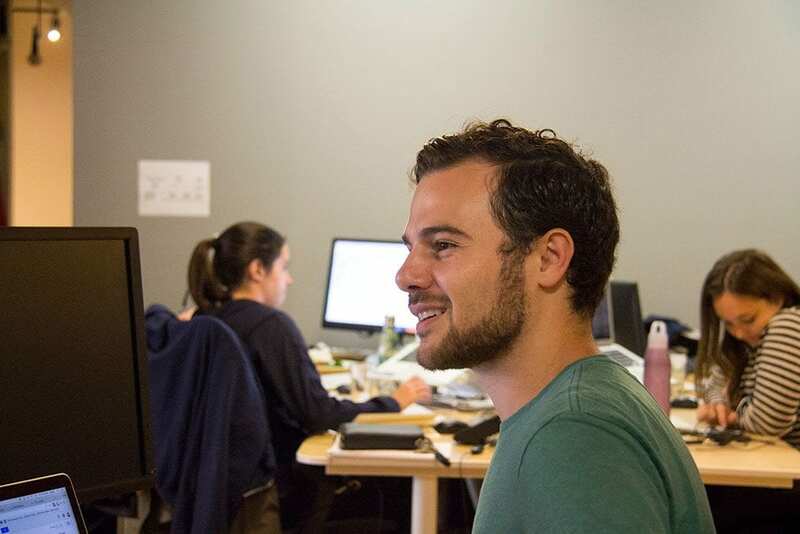 The team has doubled in the last two years to about 50 employees, and they’re still searching for fresh faces to join the pack. Askuity is currently hiring a variety of roles, including UI/UX designer, data analyst, senior backend developer, frontend developer, senior project manager, account director, technical consultant and customer success manager.